I am not sure if you know this about me or not, but I absolutely love vegetables. I mean I love veggies the same way most people I know love chocolate or sweets. I get excited when I have a fridge full of beautiful produce – and anytime I can share that passion with my family – even better! My family really enjoys different things for breakfast so I thought I would try something a little different to get my boys (ages 6 and 8) to eat some more healthy vegetables as I ease them into green (all veggie, no fruit) smoothies (muahahaha). And guess what? This recipe did the trick! We are one step closer to my dream of feeding all of my children (big sister is already on board) green vegetable (so it’s not sweet) smoothies for breakfast every now and again! I hope your family enjoys these as much as we do! 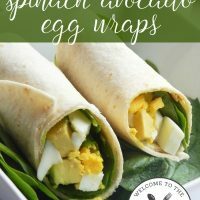 Come try these delicious spinach avocado egg wraps the next time you have a friend over for breakfast! They're divine, and pretty healthy too! Place wrap onto plate and lay down the spinach in the middle of it. Sprinkle on 1 cubed boiled egg onto the spinach. Sprinkle on desired cubed avocado and then sprinkle some salt on top. 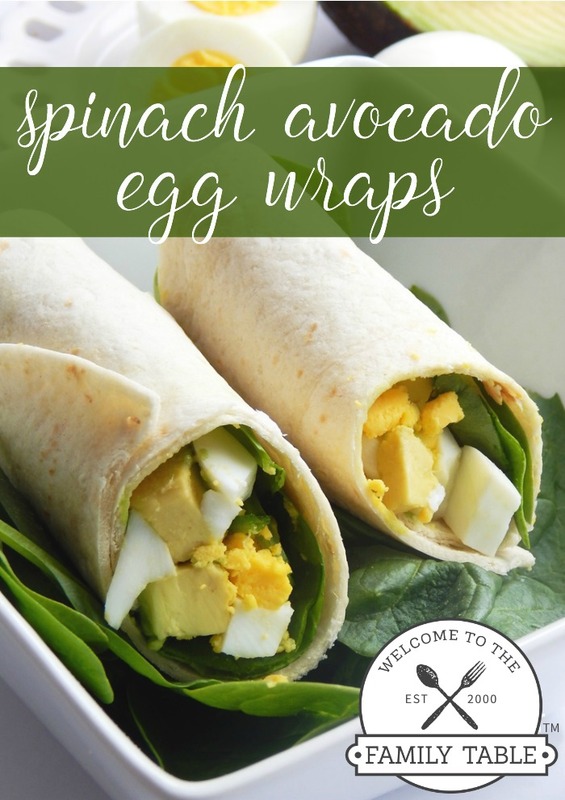 Repeat the same process for the second wrap.